A thorough consideration of cultural resources is integral to the broader goals of the environmental review and compliance process. Since 1979, Far Western has worked in partnership with private industry, government agencies, tribal organizations, and non-profits, to achieve these goals, and is today recognized as one of the leading cultural resources consulting firms in the United States. Our ownership team consists of eight anthropologists—Patricia Mikkelsen, M.A. ; Kelly McGuire, M.A. ; Kimberley Carpenter, M.A. ; Jeffrey Rosenthal, M.A. ; D. Craig Young, Ph.D.; Jerome King, M.A, Daron Duke, Ph.D.—and GIS Specialist Paul Brandy, M.S. Each of these individuals has between 17 and 41 years of professional experience, participates in technical studies and research, and actively manages the company. The key to our ability to provide consistent, high-quality service begins and ends with the 80 employees comprising the permanent staff of Far Western. This includes 36 Ph.D.- and M.A.-level archaeologists, most of whom have been with the company for more than five years. Our Davis, California, headquarters houses a state-of-the-art archaeological research facility complete with artifact processing and analytical laboratories; graphics, GIS, and production departments; research library; and secure artifact curation space. Regional offices are maintained in Carson City and Henderson, Nevada. Each regional branch is administratively linked to the Davis office, but maintains its own management, staff, and logistical operation to meet the needs of clients in their service areas. Our team, along with our industry and government partners, has successfully completed some of the largest and most demanding cultural resources programs in the highly regulated energy, water resources, mining, military facilities, urban development, and transportation sectors. Leaders in GIS and geo-archaeological applications to cultural resources studies, our clients benefit from both cutting-edge technology and advanced archaeological science. Without a doubt, the most challenging cultural resources studies and regulatory environment are associated with the development of massive geothermal, gas-pipeline, and electrical-transmission-line projects. Add to this the burgeoning effort directed at solar- and wind-power generation. Over the last 25 years, Far Western has served as principal technical consultant for some of the largest energy projects in California, Nevada, and the Pacific Northwest. We have conducted test evaluations and data recovery excavations at archaeological sites along over 1,000 miles of gas pipeline and electric transmission line corridors. These studies not only allowed our clients to proceed with licensing and construction in a timely and cost-effective manner, but have also resulted in comprehensive research reports that have proved lasting contributions to regional prehistory and history. Far Western is actively involved in a diverse range of water resource projects dealing with issues such as dam and reservoir maintenance and expansion, water conveyance, levee stabilization and rehabilitation, hydroelectric project re-licensing, and river restoration. These studies include overviews, management plans, feasibility studies, alternatives analysis, geoarchaeological assessments, and a variety of field investigations. Clients include federal agencies such as the Bureau of Reclamation and the Army Corps of Engineers, along with state, regional, and local agencies that deal with water resource issues. From exploration through development phases, mining ventures strive to comply with the regulatory environment of federal and state cultural resources policies. Far Western assists mining programs in all phases of development by understanding the time and cost constraints of early exploration and by being prepared to match the needs of large scale undertakings. We have experience throughout the state of Nevada, having successfully completed inventory and mitigation efforts, as well as EIS/EIR documents, for expansive hard-rock facilities, saleable sites, and numerous drilling/exploration projects. Far Western has long-standing partnerships at some of the largest and most active military bases in the country, including the National Training Center at Fort Irwin—the US Army’s primary training facility for mechanized warfare—the Naval Air Weapons Stations at China Lake and Fallon, and the Utah Test and Training Range, Hill Air Force Base. Cultural resources programs conducted in these environments are demanding, to say the least, and involve hands-on experience with military range control and “live-fire” schedules, ordnance safety, and facility security protocols. Along with providing consultant services to a variety of city and county transportation authorities, Far Western has successfully completed 18 multi-year State- and District-wide “on-call” cultural resources procurements for the California Department of Transportation (Caltrans). Through our multiple Transportation Enhancement Act (TEA) procurements, we transformed the Caltrans paper site record files into a state-of the-art GIS database. Our outstanding track record in transportation studies for Caltrans is reflected in Far Western’s 2007 Governor’s Historic Preservation Award. Far Western has conducted archaeological studies for a variety of federal and state land and resource management agencies, such as the Bureau of Land Management, Forest Service, Bureau of Reclamation, National Park Service, and the California Department of Natural Resources. Many of these studies are conducted as part of the environmental review process associated with timber sales, fire rehabilitation, land exchanges, trail and recreational development, stream and habitat restoration, and road construction. These same organizations are often the lead agencies for larger-scale private and public development projects. This provided Far Western with a working knowledge of agency-specific guidelines and management procedures, as well as a thorough grounding in state and federal historic preservation statutes. Far Western has assembled an outstanding team of geoarchaeologists who play an integral role in nearly every one of our projects. Our award-winning team has been recognized for their innovative studies by the Society for California Archaeology and the California Preservation Foundation. These studies include assessments of sensitivity for buried landforms and archaeological resources not easily identified by other means. Such assessments help our clients avoid costly delays that can arise when unanticipated discoveries are made during project construction. Far Western has taken the lead in the analysis and integration of GIS data and applications in a cultural resources context for state and federal agencies that are concerned with proactive cultural resources management. GIS-based data management tools allow Far Western to map and understand the distribution of archaeological resources on the landscape, identify conflicts with current and proposed land-use activities, locate data gaps for future research direction, and create searchable databases for state clearinghouses and other agencies. Our GIS team also works side-by-side with our geoarchaeologists to construct sensitivity models and maps for buried resources. Exterior educational signs and wayside exhibits. Broadcast-quality educational films and web spots. Training and reference materials for agency and construction personnel. There is a growing realization that the results of cultural resources studies should be available to the public. Far Western has long been at the forefront of this movement. Art Director Tammara Ekness Norton, who has been with Far Western for more than 25 years, heads our design team. Ms. Norton has designed numerous web articles for the California Department of Forestry and Fire Protection (CALFIRE), the California Department of Transportation (Caltrans), and California State Parks. She also has designed and overseen fabrication and installation of museum-quality exhibits for the military, California State Parks, the University of California, and Caltrans, and has worked in tandem with Far Western researchers and Native American consultants to produce numerous public education documents. Large research laboratory and secure curation space. 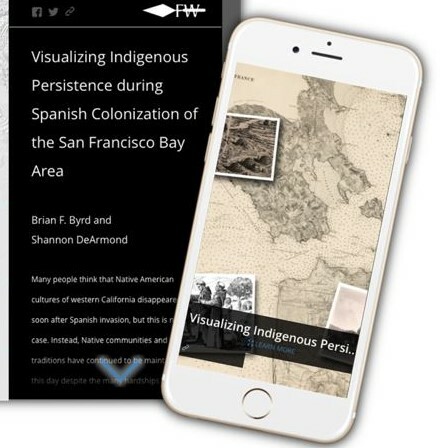 Comprehensive library of California and Great Basin anthropological reports, manuscripts, maps, and other reference material. Complete computer graphics and GIS/mapping center. Large inventory of vehicles, equipment, and field supplies. Fully networked computer system with more than 50 work stations. Far Western’s senior management team is located at the main office, supervising the company’s major research, financial, and administrative operations. Davis also serves as our central hub for graphic design and report production, GIS, laboratory analysis, and quality control. Our regional offices are linked to Davis through a virtual private network, with real-time access to shared data files and other resources. The main office is close to the University of California, Davis, the alma mater of several of our principals and employees, and we take full advantage of its resources (i.e., libraries, students, activities). We have been in Davis for more than 30 years and fit in well with the small, university-town culture. Located in Henderson, Nevada, the Desert Branch oversees Far Western’s operations in southern Nevada, southern California, Utah and Arizona. Daron Duke, Ph.D., serves as the Branch Director alongside a staff that includes seven full-time archaeologists. This staff specializes in cultural resources management throughout the Desert West. Our primary expertise is in the Great Basin and Mojave deserts of southern Nevada, western Utah, and California, where we carry in-depth understanding of the archaeological record and best cultural resources management practices. Clients benefit from our long-standing relationships with federal agency personnel and record of excellence with large-scale compliance projects, including inventory and effects mitigation. Closely integrated with the Davis Headquarters, the Desert Branch serves as a regional, full-service, administrative, and operational arm of Far Western. Our capabilities include comprehensive laboratory analysis and curatorial processing, GIS, and both print and electronic forms of public outreach. Far Western’s Great Basin Branch is located in Carson City, Nevada. This branch office provides cultural resources services and research across the northern Great Basin region of Nevada, California, Oregon, Idaho, and Utah. Under the direction of D. Craig Young, Ph.D., a Far Western Principal, the Great Basin staff includes 10 full-time cultural resources specialists and archaeologists who provide an in-depth understanding of the archaeological record and of management challenges particular to Nevada and the Great Basin. The office serves as a regional, full-service administrative and operational arm of Far Western, but is fully integrated with personnel and facilities at company headquarters and other branch offices. The Great Basin Branch is conveniently situated near BLM State and District offices, the NV SHPO and archives, and retains close ties to the University of Nevada, Reno.